A top aide to New York Gov. Andrew Cuomo, Jerome Hauer, has been caught violating state gun laws by carrying a firearm to work. Cuomo, an ultra-strict gun control advocate (I guess, strict only for us ‘civilians’), quickly gave him a waiver on his violation. And how was Hauer’s 9-millimeter Glock discovered? Well, it seems he was using the gun’s laser sighting attachment as a pointer during a meeting with a Swedish delegation. Hauer runs New York’s Division of Homeland Security and Emergency Services. Feel safe with DHS employees like this on the job? Jerome Hauer, a top aide to New York Gov. Andrew Cuomo, appears to have regularly carried a firearm to work in violation of state law.Hauer runs New York’s Division of Homeland Security and Emergency Services. 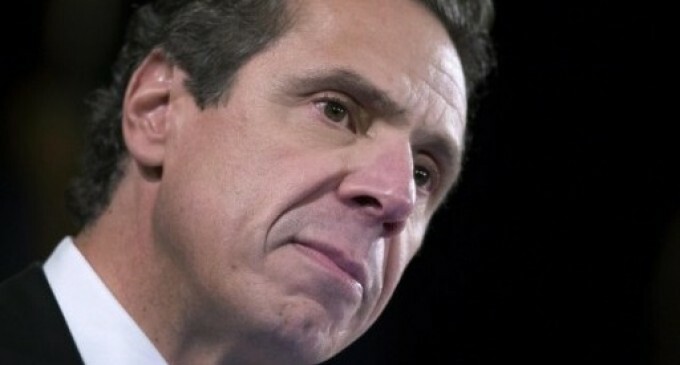 Cuomo, an advocate of ultra-strict gun control laws, appointed him to the job in 2011.Hauer’s 9-millimeter Glock first came to the attention of local newspapers when he used the gun’s laser sighting attachment as a pointer during a meeting with a Swedish delegation. That event occurred last October at a State Police bunker, and was first reported by the Albany Times Union in January. You sure he wasn’t ATF&E or NCIS? is a bit unfair, don’t you think? Bull$#%&[email protected]*!!! Break the law, pay the fine! it doesn’t matter who you are!